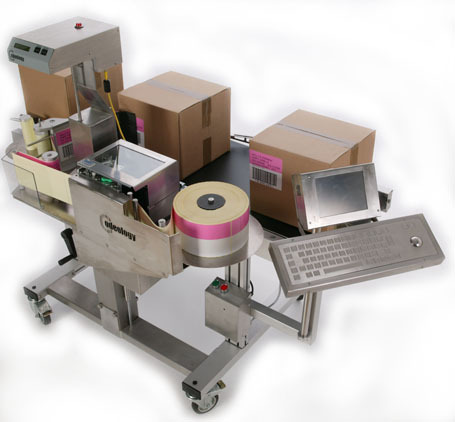 Carton Handling Solutions | Print and Apply outer case labelling systems for the retail supply chain. For totally automatic print and apply labelling we recommend the Codeology P100 Print and Apply system. It has been proven to be simple to use and reliable in operation since 2005, running in industries such as cooked meats, frozen foods, chilled foods, bakeries and cheese factories. High reliability, easy setup and modular components ensure that you get the most out of the P100 with minimal intervention. Able to print and apply any of the popular label sizes for the major supermarkets, on either single-side or side-and-end with one machine. It can handle cartons or shrink-wrap packs at up to 30 products per minute. The P100 fits perfectly between any case taper and an accumulator or flexy conveyor as a simple add-on to any production line. 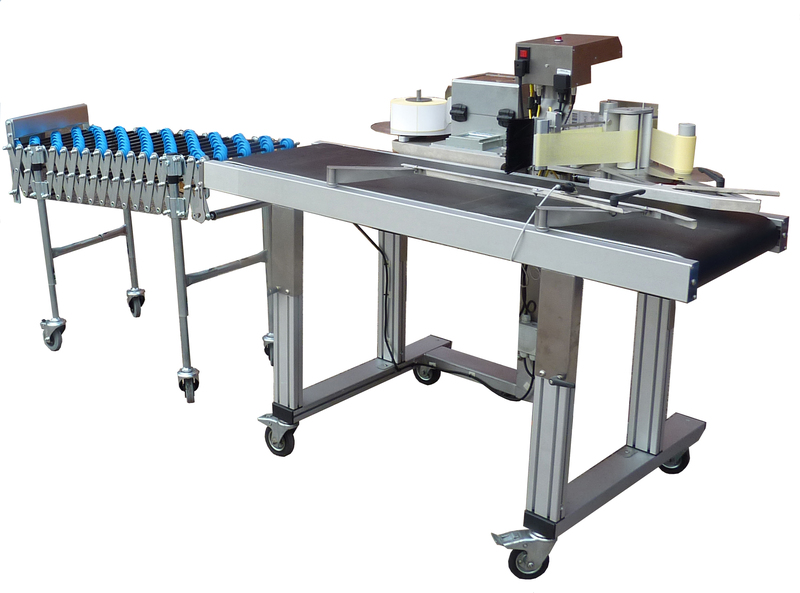 With its integrated conveyor it can be wheeled from line to line in minutes. For maximum sustainability the side-only version does not use any air, it only needs a low power 240 volt supply. Note for search engines: Carton Handling Solutions Ltd are a systems integrator for complete end of line production lines. This page shows a print and apply outer case labelling system for the retail supply chain. It prints and applies barcode labels to meet all leading supermarket specifications including Tesco, Morrisons, Asda, and Sainsbury's.